According to Fiddle Music of Scotland by James Hunter, “The Hen's March to/through/over the Midden” is undoubtedly one of the most popular pieces in the fiddler's “entertainment repertoire”. Its second part is very characteristic in that it attempts to musically describe chicken clucks. 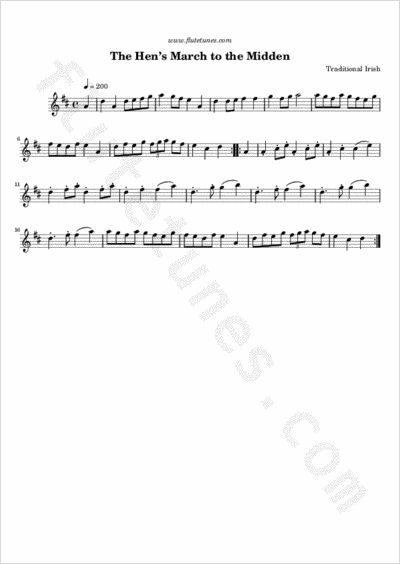 The first several bars of the tune are typical of trumpet marches that were popular in London in the first half of the 18th century. Peter Cooke claims the tune, while of British origins, survived in Shetland in near original form and was subsequently reintroduced to the Scottish mainland.